The long awaited and ideal cellphone for businessmen is finally unveiled by the world’s top mobile phone maker, Nokia. This latest model by the Finnish mobile phone maker, Nokia E51, comes with high-speed mobile browsing, email functionality, multimedia features, a multitude of connectivity options, and useful shortcut keys. Nokia E51 was designed particularly for corporate users. This slim and elegant “candy bar” shaped phone features all necessary functions required by business professionals such as reliability, fast and real-time accessibility to business and people, easy set up and maintenance, time management function and affordable price. Businessmen can browse webs, access email, make lower cost voice calls over the internet with the built-in WLAN, take photo and video with the built-in 2 megapixel camera and have some leisure fun such as listening to the latest hits with FM Visual Radio or playing their favorite tunes on the MP3 music player. 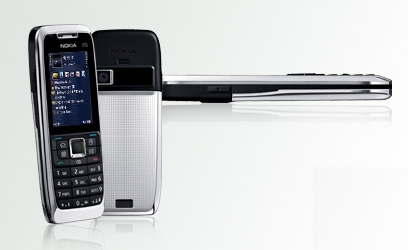 Nokia E51 also inherited one of the Nokia’s best phone features – user friendly navigation and quick access capabilities. High-flying businessmen, especially those who are not IT orientated, will love it.